You have three goals. Demonstrate your Prowess. Explore the Unknown. Conquer the Solar System. In the not so distant future, we have reached new levels of technological and scientific advancements. In our quest to explore new frontiers, we harnessed the power of gravity and solved the radiation problem that has prevented us from traveling into deep space. As we venture out and settle the worlds of our Solar System, old habits remain. Our appetite for conflict, aggression and war remains as strong as ever. The Solar System has become a cluster of feudalist republics vying for power and natural resources. You are tasked by Geneva with uniting these warring factions of a divided Solar System. 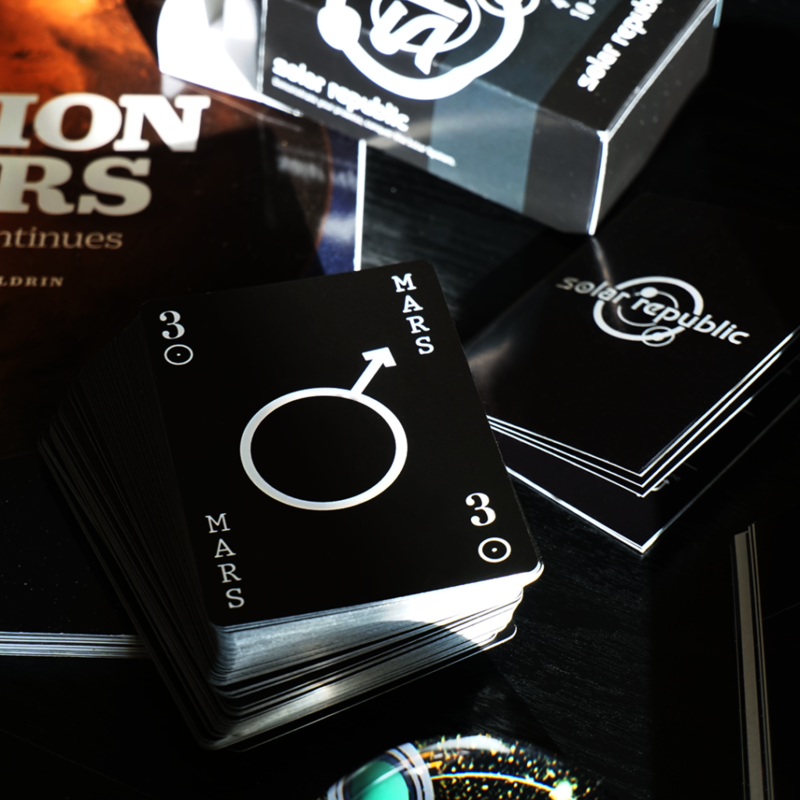 The Solar Republic is a minimalist game featuring 76 cards and 5 planetary suits, the Sun, Jupiter, Saturn, Uranus and Neptune. Each planetary suit features their large and small moons with the Sun’s suit encasing the inner planets and dwarf planets. Wither you want to learn about the world’s beyond our world or play a chill game with your friends, the SR game has you covered! 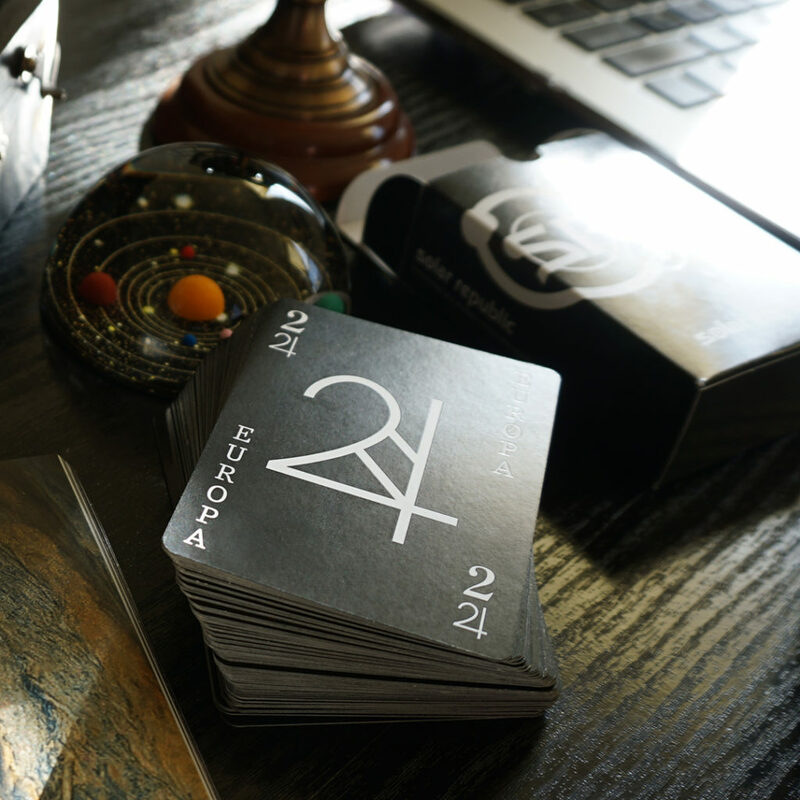 And don’t worry, just like Trump doesn’t have to give a coherent speech to be president, you don’t need to know anything about the Solar System to play the game…but that knowledge would definitely give an edge over your compadres. 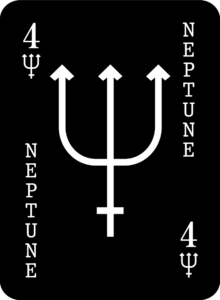 Below is the Neptune suit made up of Neptune, Triton and Neptune’s other 13 moons. I have a hunch there are moons to be discovered, but leave that up to the astronomers! 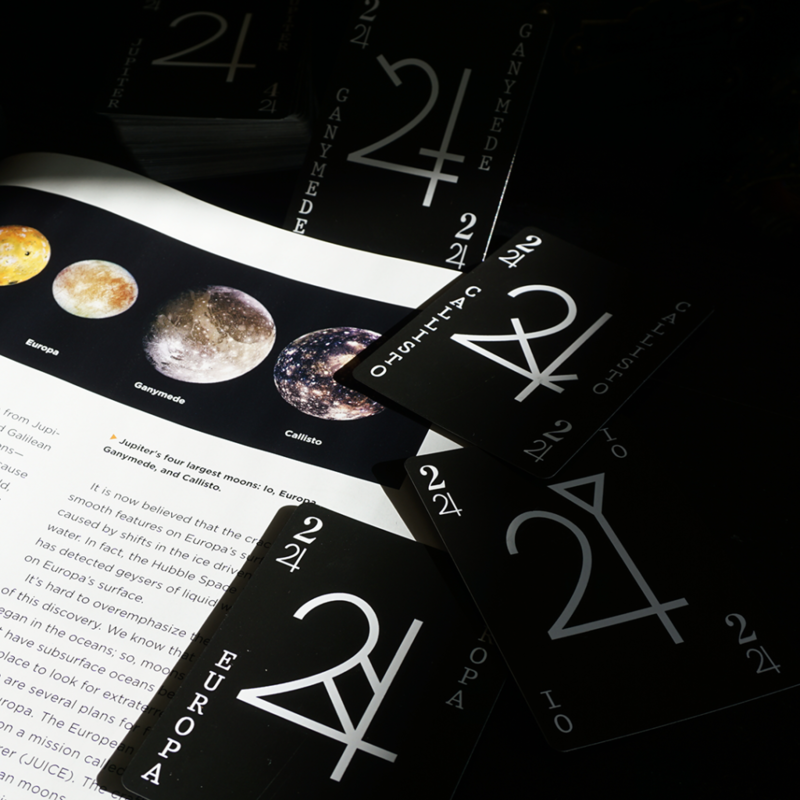 You will notice that smaller moons carry the designation “1” while, larger moons and dwarf planets with enough hydrostatic equilibrium to round themselves carry the designation “2”. Dwarf planets and large moons are invaluable for their somewhat stable gravity, habitability, resources and status as “base-cities” around the the major planets. “3”‘s and “4”‘s are planets. 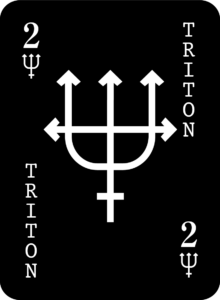 The “3”‘s are the smaller, rocky, inner planets which include Earth and Mars. The “4”‘s are the four large gaseous planets.